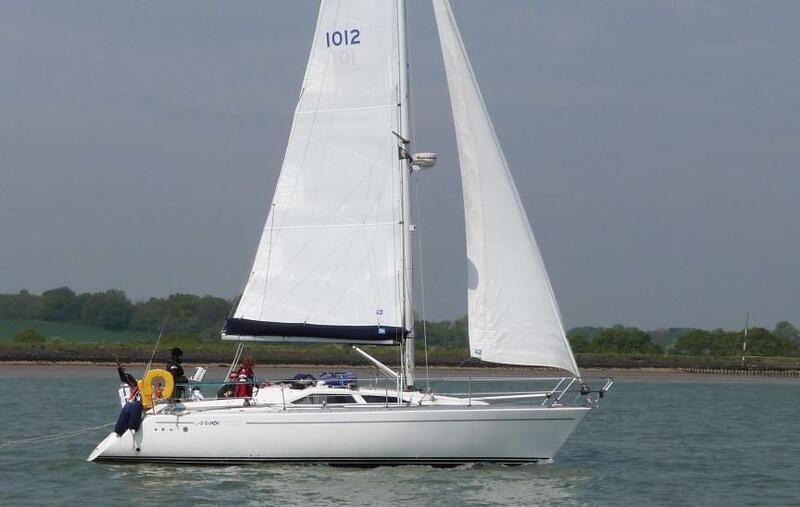 Attractive, easily handled aft cockpit fast cruising yacht. 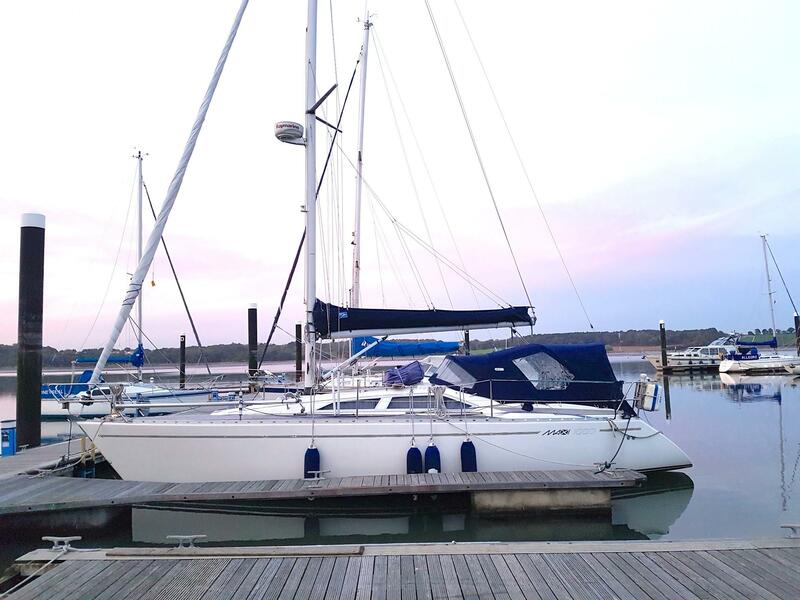 Designed by Pelle Pettersen and built by Maxi Yachts AB late 1998 displayed at 1999 London Boat Show, launched spring 1999. No 1012. SSR Registered. EU VAT paid. 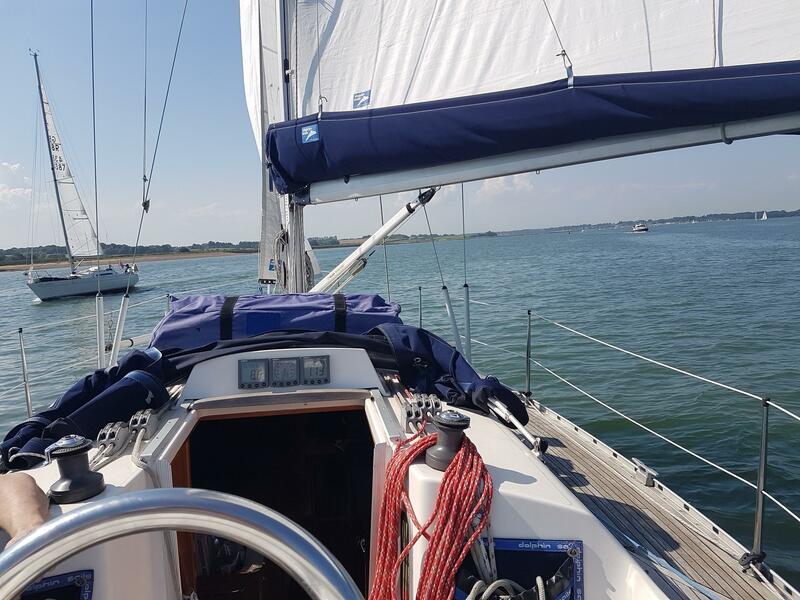 6/7 berths.Well equipped example with self-tacking jib, cruising chute, hot water, cabin heating, radar, AIS, autopilot, liferaft etc. Regularly updated. External cast iron fin keel. Semi balanced spade rudder with wheel steering. 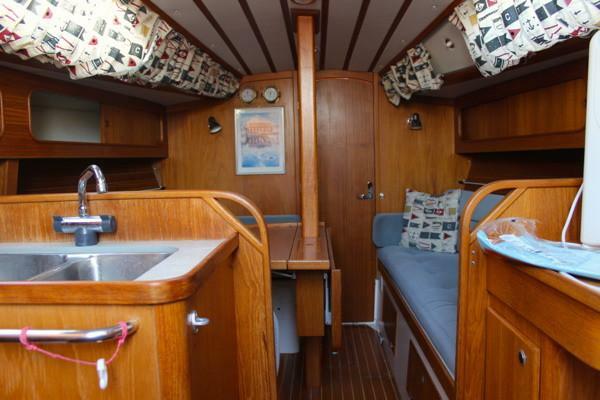 Teak laid side decks, cockpit seats and cockpit sole. Internal GRP moulding with American Cherry internal joinery.Laminate work surface in galley. 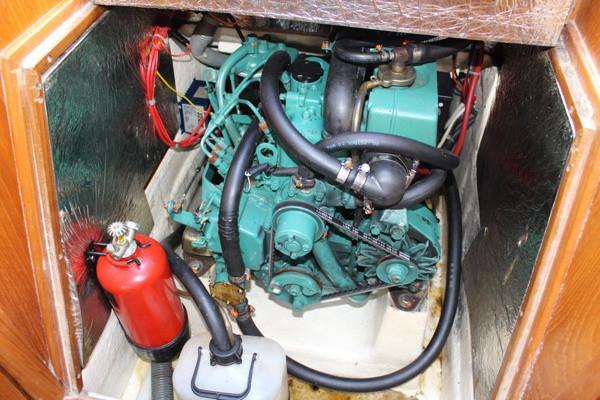 20hp Volvo MD2020S three cylinder diesel engine. Saildrive gearbox with 2016 3 bladed KiwiProp feathering propeller. Original bronze folding prop available. 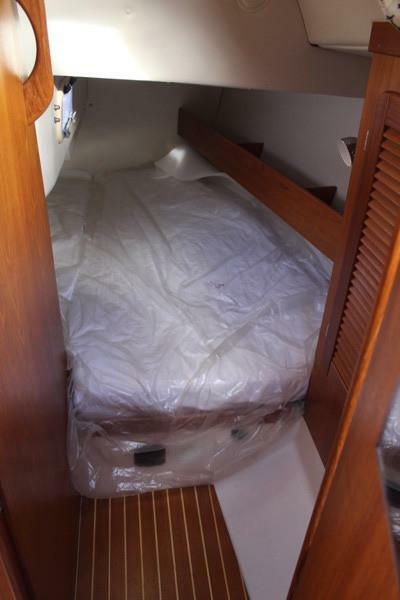 New mattresses in aft cabin. Blue Alcantara upholstery in saloon and patterned fabric in forecabin. 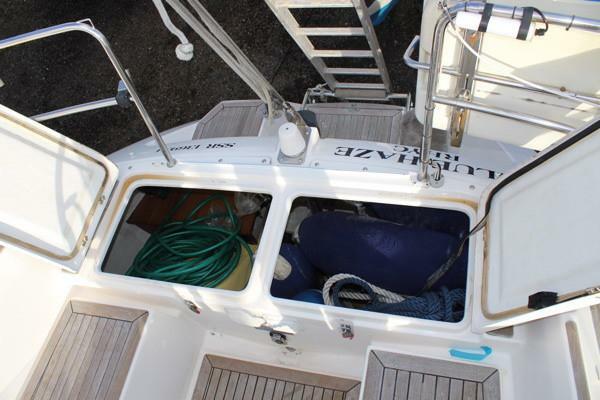 Forward cabin with V berth with infill, storage under and above berth. Opening deck hatch over. 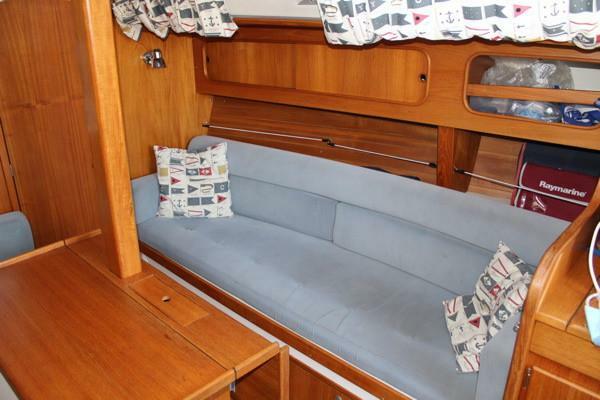 Saloon with C shaped seating to port – converts to double berth and settee berth to stbd, storage beneath and outboard of saloon. Central table with folding leaves. Opening deck hatch over. 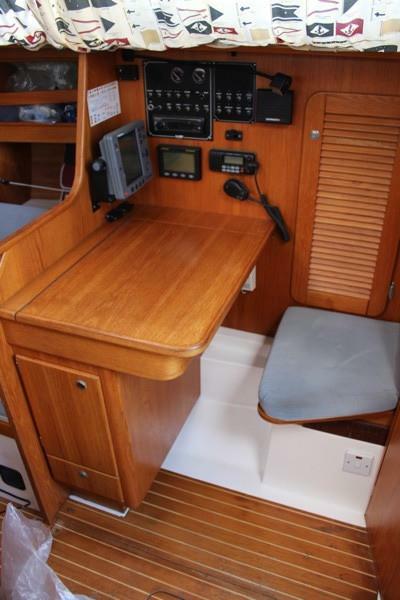 Navigation area aft to stbd with forward facing chart table, navigators seat, switch panels with Wema fuel & battery meters, assorted storage and wet locker outboard. 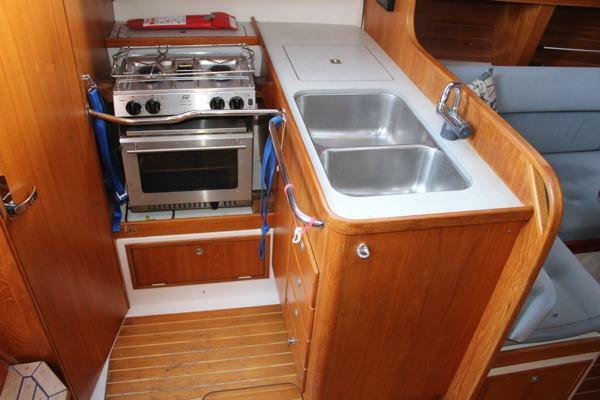 Galley to port with laminated work surface, 2 x stainless steel sinks, Plastimo stainless steel two burner gimballed cooker with oven and grill. Top opening 100 litre refrigerated cool box and assorted storage. 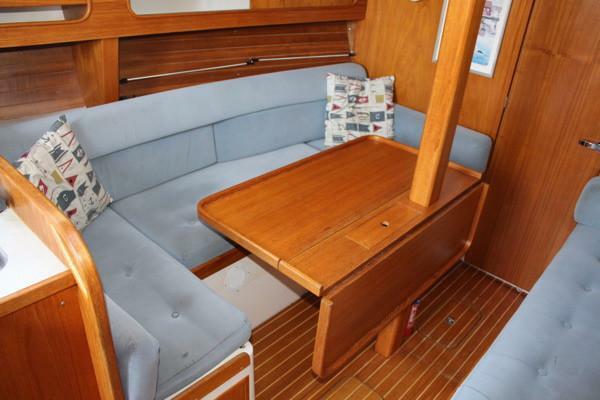 Aft cabin, to port with hanging locker, large double berth with new mattress and 4 opening ports. 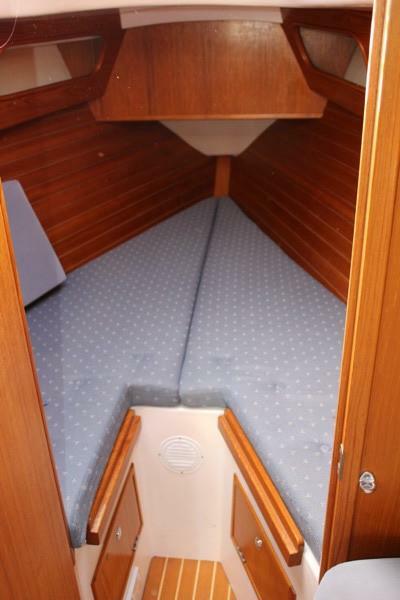 Includes Shipshape bedding and Drymatt underneath mattress. 12 volt system – 1 x 70 Ah engine start, 2 x 70 Ah service batteries – New 12. Charging by engine driven alternator and 2 x demountable solar panels. 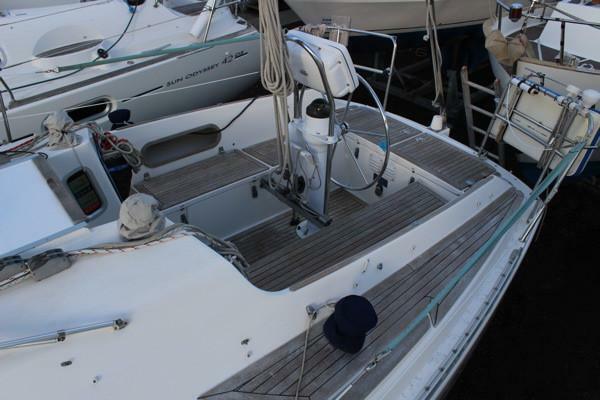 12v interior and bow, stern, steaming & LED tri-white navigation lights. 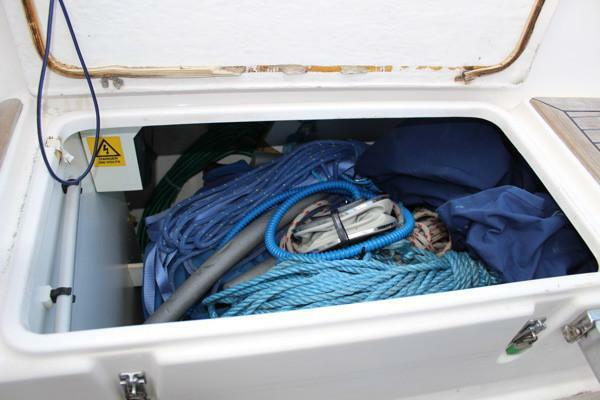 220 volt system – Shore cable & extension. Inlet socket with RCD, Merlin battery charger, immersion heater and 4 x double 220v outlets below. 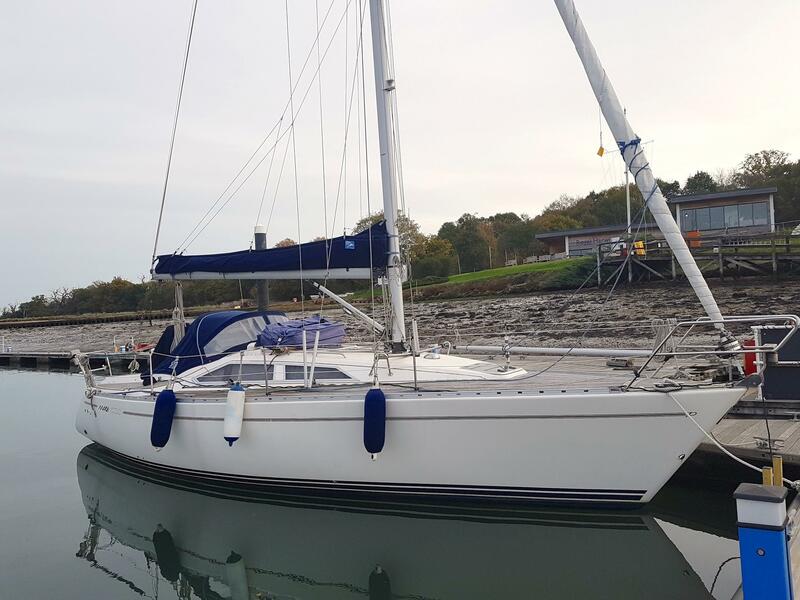 Selden single spreader mast with single line slab reefing boom, sprung kicker. 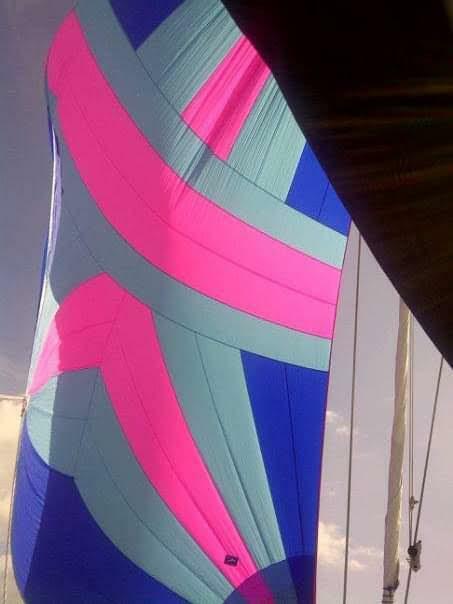 Furlex 200S headsail furling gear. 1 x 19 stainless steel wire standing rigging. Replaced 2008. Adjustable backstay tackle. 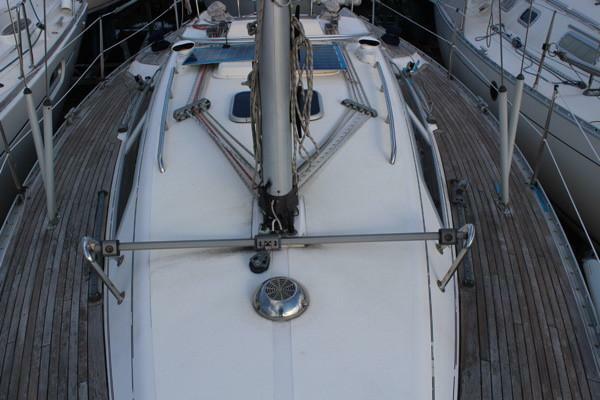 Dyneema main halyard. 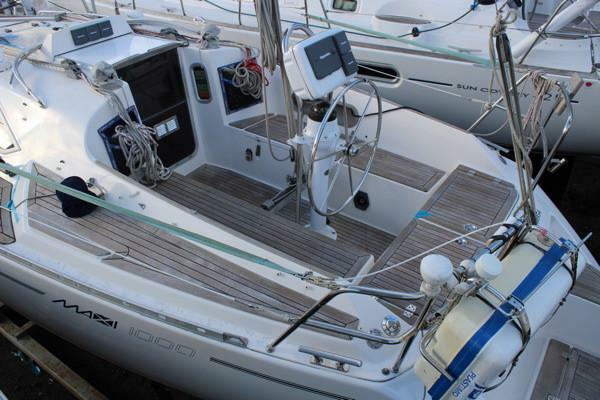 Lewmar self-tacking jib track, Solent jib tracks & Genoa tracks with adjustable cars. 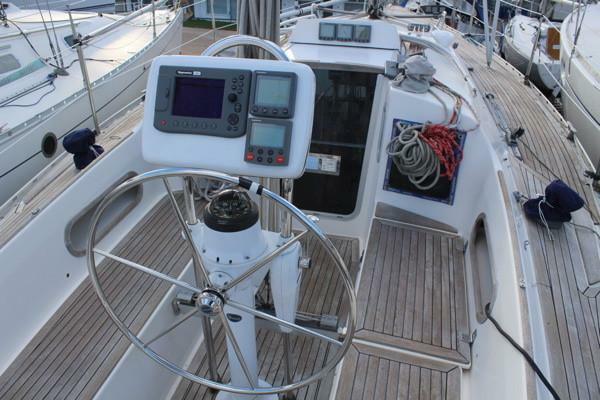 Mainsheet track with adjusting tackles. 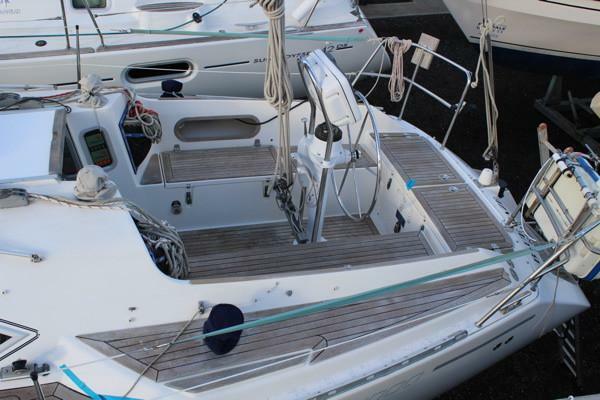 WINCHES – Lewmar 2 x 40CST Genoa winches, 2 x 16 CST halyard winches. Self draining aft cockpit with stern gate and bathing platform. Deep cockpit cave locker to stbd, 2 deep lazarette lockers aft. Coaming lockers. Stainless steel open pulpit with teak seat, s/a stanchions, 2014 guardwires with gates and quarter pushpits. 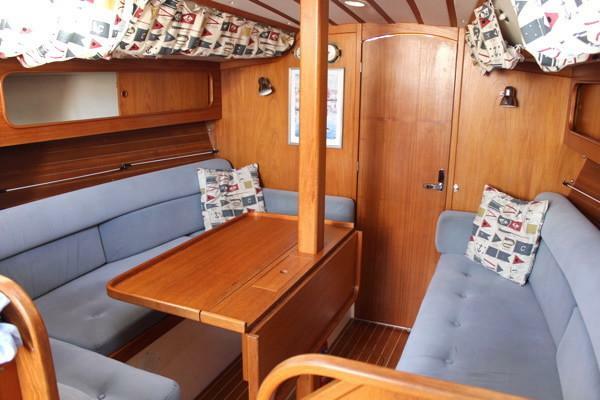 Teak laid side decks, cockpit seats and sole. Moulded non-slip deck surfaces to coachroofAlloy toe rail. S/s/ grab handles on coachroof. Blue wheel & pedestal cover. Genoa winch covers. Opening gate in stern giving access to bathing platform with folding boarding ladder. 4 x Dry powder fire extinguisher. Fire blanket. Gas alarm.